THERE WAS PLENTY TO like about McKinley, even if there was not that much to love. Hay and McKinley had both grown up in what was still regarded as the West (McKinley was born in Niles, Ohio, in 1843), and both had flourished during the war under leaders whose blessings would accelerate their ascent of the Republican ladder (Hay under Lincoln, McKinley under General, then Governor, Rutherford Hayes). Their personalities and intellects, however, were vastly different. 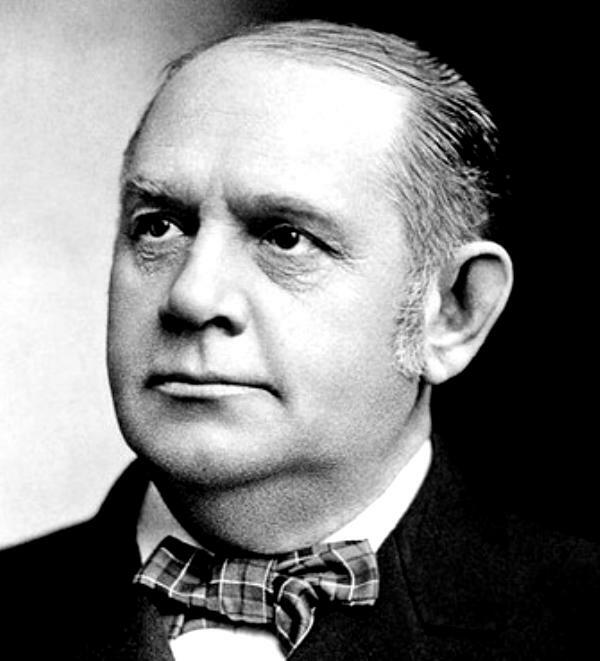 For McKinley, literature was the Bible; poetry he found in a hymnal. He neither danced nor attended the theater. He rarely tasted strong drink and did not try ice cream until he was in law school. He played whist, never poker. His one vice was cigars: he smoked (or chewed) as many as fifty a week. In personal appearance, his sole vanity was tidiness: every day an immaculate boiled white shirt and piqué waistcoat, a black frock coat with a carnation in his lapel. 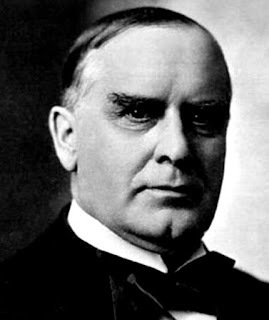 In an era when most men, Hay included, cultivated some form of whiskers, McKinley was bare-faced (and so disciplined in his grooming that he could shave without a mirror). His marble jaw and gray eyes inevitably invited comparison to statuary. As a letter writer he was perfunctory, as a storyteller unmemorable. His public oratory was clear and effective, but never histrionic—rarely more than a clenched fist punched gently into an open palm to drive home a point. Yet if he was not the smartest man in the room, he was the most trusted. If his was not the strongest voice, he was the best listener. Adjectives used by McKinley's peers to describe his character could fill a Sunday School tract: responsible, industrious, determined, patient, imperturbable, sincere, fair, courteous, and kind. He was devoid of guile, incapable of manipulation. It scarcely mattered that he was often impassive or that he had few close friends. Among Republicans, he had rivals but precious few enemies. Hanna knew how to delegate; he also appreciated better than anyone before him the importance of strong central command in a political campaign. In 1895, Hanna turned over responsibility for his business affairs in Cleveland to his brother, which freed him to devote his full attention to the task of getting McKinley nominated and elected. So single-minded was Hanna that the perception grew that he had some devious, Svengaliesque control over his candidate.... The New York Journal, purchased by William Randolph Hearst that same year, hastened to establish its pot-stirring, "yellow" reputation by predicting that Hanna would "play McKinley like a pack of cards." The paper's cartoons depicted Hanna as the bloated Beast of Greed, his suit checked with dollar signs; as a puppet master pulling the strings of McKinley; or as an organ grinder calling the tune for his trained monkey. The reality was something quite different. Hanna was a millionaire, to be sure, his fortune made in coal, steel, shipping, and banking, and he was indeed full-figured in his profile. But despite his affluence, he lived a relatively conservative, abstemious life. While he was by nature acquisitive and aggrandizing, he had nothing but admiration and respect for McKinley, whom he had first met in 1876, when McKinley had defended a group of coal miners arrested during a strike. Hanna was one of the mine's owners, and he never forgot the poise and humanity McKinley displayed in the courtroom. Here was a horse to bet on. Though six years older than McKinley, Hanna would always be somewhat obsequious toward him. "His attitude was always that of a big, bashful boy toward a girl he loves," explained H.H. Kohlsaat, publisher of the Chicago Evening Post and another early McKinleyite. "It was not the power that it brought Mr. Hanna that made him fight for McKinley's nomination and election; it was the love of a strong man for a friend who was worthy of that affection."